Indigo Editing, LLC, 9780981942247, 234pp. In a special thrift store where shoppers can buy past experiences, two friends discover that not all memories can be shared. A married couple decides to meet at the site of a past tragic event to make one final decision. To make it to the overseas wedding planned by his fianc , a man with a terror of flying enlists a life coach, a couples counselor, a hypnotist, and even a flight simulator. Whether you like thrillers or romance, there's a story for you in this anthology. Sci-fi, absurdist drama, voodoo noir--they're in here. You probably hold every genre in your hands. 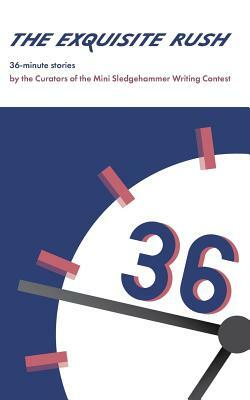 We took the winning short stories from the first nine years of Portland's Mini Sledgehammer 36-Minute Writing Contest and selected the best 36 of them. What's Mini Sledgehammer, you ask? It's a quirky writing contest that incorporates four writing prompts and a 36-minute time limit. All writers are welcome, from published professionals to newborn novelists, and when the time is up, they read their stories and the judges select a winner--all right there on the spot. There's no time to hesitate, second-guess, or hold back. Exquisite pressure is what these writers experience, and as the stories in this anthology demonstrate, pressure makes diamonds.